I have a copy of Ms Hayes' book and I will make a point of reading it during this year. Sad to hear of Tom Clancy's passing today. One of my favorite authors. I will miss the continuation of the Jack Ryan related stories. I'm quite sure the stories will keep coming. With Tom Clancy's name in big, bold letters; the actual author listed below. Nowadays, the death of an author doesn't stop a publishing company. Ask Ian Fleming! A couple of days ago I finished reading Sarah Baker's book "Lucky Stars" which focuses on the lives and careers of the famed romantic screen team of the twenties and early thirties, Janet Gaynor and Charles Farrell, and their supposed romantic relationship around that time. The book is entertaining and gives useful info on their careers and lives, but in my opinion, does not give much basis to support the thesis of a romance between them. There's not much written about these two actors, so for fans of both and of their films, I'd recommend it anyway. In my relentless and seemingly futile effort to catch up on the Noir Fiction that I missed for years (why did I read Herman Melville when I could have been reading Jim Thompson? ), I recently finished The Screaming Mimi (Frederic Brown) and The Big Heat (William P. McGivern). The former bogged down a little in the middle for me, but was good enough to make me want to reacquaint myself with the movie, which I haven't seen in years. The latter was a page-turner from start to finish. A significant distinction from the movie is Bannion's vital statistics. In the novel, he's a big man - over 6', around 230 pounds, former All-American football player at Notre Dame - physically imposing and physically intimidating. The switch to more of an everyman in the movie probably worked better visually, helping create more of an identification and empathy. Still deciding on what Noir Fiction to start next as I slog my way through Joseph Losey: A Revenge on Life (David Caute 1994). I'm reading yet another crime story by the great Ed McBain. I can't elevate McBain over half a dozen other authors. His books don't stand out in my memory. But you know what you're getting. I've never been disappointed. Just finished reading Les Miserables and it was quite an effort. Lots and lots of unnecessary verbiage, but the story (when you can find it) is very good. 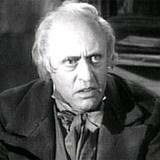 I'll appreciate reading Dickens more now, but as for Hugo, I consider myself the Victor... pun intended. My reaction to LES MISERABLES was ironic. I appreciated it. Even enjoyed it. For a while. I just couldn't stick with it! Even the unnecessary verbiage is interesting. (Frankly, most of the text is "color". The actual plot is minimal.) But we're looking at almost 2,000 pages. I read well over half of it! moirafinnie wrote: Here's the spot where we can post questions for our visiting author, Scott Nollen, whose most recently published book, Three Bad Men: John Ford, John Wayne, and Ward Bond (McFarland). This thread will be opened on Saturday morning, Feb. 8th. 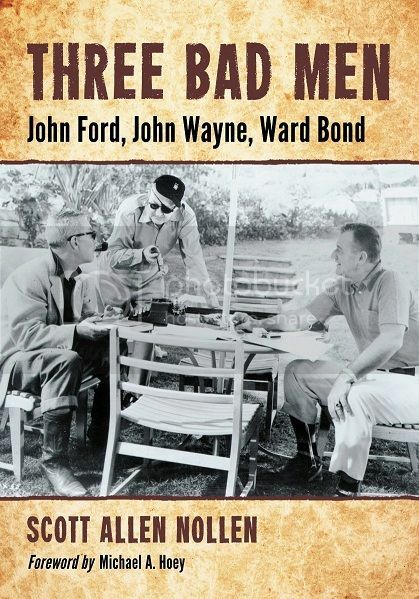 I just started reading this book today and its a fascinating book by our recent guest author SCOTT NOLAN and I was impressed by his knowledge of John Ford, John Wayne, and Ward Bond. For all FORD, WAYNE, and BOND fans here - you will not be disappointed! 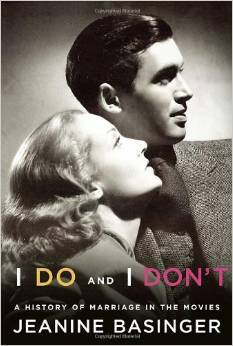 Jeanine Basinger's latest book, I Do and I Don't: A History of Marriage in the Movies (Knopf) is one of her best in some time. 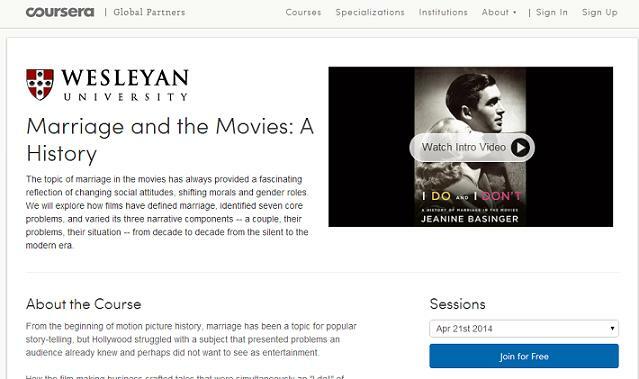 The film historian's overview of how marriage in the movies (and the good and not so good ways it influenced society) is described in a lively manner. Despite the entertaining prose style and lively anecdotes, Basinger makes a strong case for the power of films to show how marriage was changing as the media influence on everyday life became more profound. She documents how contrived some of the films were when showing couples pursuing romantic fulfillment, stumbling over infidelity, addiction and other issues--all of which was all too often wrapped up too neatly. She is not averse to noting the contrived nature of love in these movies as well as the deeply moving portraits of life partnerships on film (i.e. Make Way For Tomorrow, Best Years of Our Lives). The book even notes how simplified economic realities affected consumers. The author is very good in describing how movies made people expect more materialistically due to the magic wands of well-funded art depts, not deeper pockets or increasing wages. Tender Comrades: A Backstory of the Hollywood Blacklist (Patrick McGilligan & Paul Buhle 1997) - A collection of interviews conducted by the authors (sometimes with others) with persons impacted by the blacklist, including John Berry, Alvah Bessie, Jules Dassin, Mickey Knox, Ring Lardner, Jr., and Abraham Polonsky. Uneven, but still a nice reference book to have. The interview with Lionel Stander is a hoot, even when sad. An Army of Phantoms: American Movies and the Making of the Cold War (J. Hoberman 2011) - A fascinating social history of the political - both overt and covert - side of Hollywood movies from 1946 through 1956. I imagine it would be nearly unfathomable to history buffs who are not movie fans. Hoberman assumes a fairly deep knowledge of the movies during the period. Enjoyed it immensely. Edgar G. Ulmer: A Filmmaker at the Margins (Noah Isenberg 2014) - Given my love for Ulmer's films, the dearth of material about him, and Isenberg's gracious sharing of information here a few weeks ago, my expectations for this book were probably unreasonably high. My expectations were surpassed. 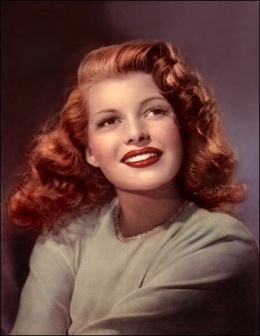 Everything I look for in a film-related biography: biography with critical analysis of the films, placing both in their historical and current context, written so as to show the author's appreciation and respect for the subject, but not as merely a puff piece. A must-read for anyone who is an Ulmer fan or who wants to know what the fuss is about. One nit (good thing thing this topic didn't arise during Isenberg's visit): In covering Ulmer's late career, he makes passing reference to a movie on which Ulmer was a cameraman - THE WORLD'S GREATEST SINNER (Timothy Carey 1962) - and Isenberg calls it "a low-budget comedy". Half right. Bunny Lake Is Missing (Evelyn Piper 1957) - Piper: maternal fear and paranoia. Preminger: paranoia and psycho-sexual dysfunction. Clean Break aka The Killing (Lionel White 1955) - The only significant detour taken by Kubrick and Thompson is the ending. White's ending works for the novel, but Kubrick's and Thompson's is ideal for the movie, creating a longer lasting existential dilemma. Eh, what's the difference. Down There aka Shoot the Piano Player (David Goodis 1956) - Goodis. Obsession. Existential angst. A punch in the gut. And it just doesn't matter.